Paying off a major debt produces a sense of relief. You can celebrate a financial milestone; you can “pay yourself first” to greater degree and direct more money toward your dreams and your financial future rather than your creditors. Once you get out of excessive consumer debt, the last thing you want to do is fall right back in. What steps can you take to reduce that possibility, and what missteps should you avoid making? So often, an unexpected event can put you in debt: an auto breakdown, a job loss, a trip to the emergency room or a hospital stay. If you earmark $50 or $100 a month (or even $20 a month) for an emergency fund, you can create a pool of money that may help you deal with the financial impact of such crises. Every dollar you save for these events is a dollar you do not have to borrow through a credit card or a personal loan at burdensome interest rates. Think about a 50/30/20 household budget: you assign half of your income for essentials like housing payments and food, 30% to discretionary purchases like shopping, eating out, and entertainment, and 20% to savings and/or paying down whatever minor debts you must incur from month to month. Do you really need a new car that will require financing, one that will rapidly depreciate as soon as you drive it off the lot? A late-model used car might be a much better purchase. Similarly, could you save money by eating in more often or bringing a lunch to work? You could find some very nice goods at very cheap prices by shopping at thrift stores or online used marketplaces. These are all smart consumer steps, net positives for your financial picture. You should also be aware of some potential missteps that could lead you right back into significant debt, or negatively impact your credit rating. Some of them may be taken consciously, others unconsciously. If you get rid of consumer debt, but retain the spending mentality that drove you into it, your financial progress may be short-lived. If the experience of getting into (and getting out of) debt does not change that mindset, then you risk racking up serious debt again. Sometimes people are forced to assume large debts as a direct consequence of being uninsured. Hopefully, you have not been one of them. If you must pay for your own insurance and the premiums seem high, remember that they will likely be lower than the bills you could be forced to pay out of pocket without such coverage. The key is how you use the accounts in the future. When you use about 10% of your available credit each month, that is a positive for your credit score. When you use more than 30%, you potentially harm your score. For the record, the length of your credit history accounts for about 15% of your FICO score, so if a card has more good payment history than bad, getting rid of it could be a slight negative. Instead of closing these accounts, keep them open, and use the cards once a month or less. 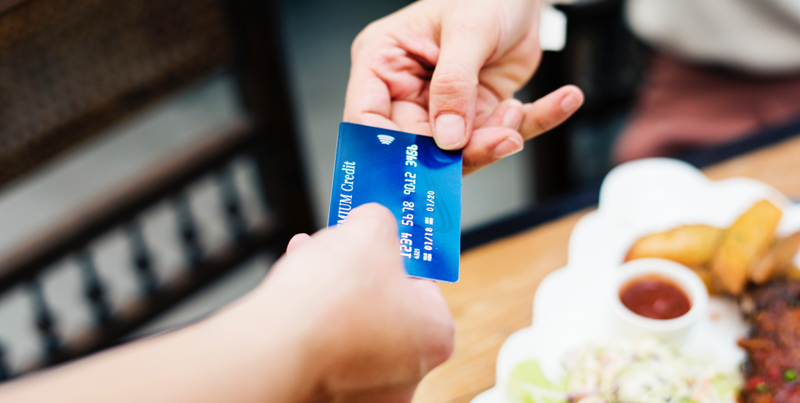 Should a card charge you an annual fee, see if you can downgrade to a card from the same issuer that does not. American Wealth Management may be reached at 775.332.7000 or info@financialhealth.com. Investment advice offered through American Wealth Management (“AWM”), a SEC-registered investment adviser. Certain personnel of AWM may also be registered representatives of M.S. Howells & Co. (“MSH”), Member FINRA/SIPC, a registered broker-dealer, and therefore, may offer securities through MSH. AWM and MSH are not affiliated entities.